A fun family day at Hitsujigaoka, Sapporo! Truth been told.. I didn't go to Hitsujigaoka with my family but with one of my travel buddies. But! 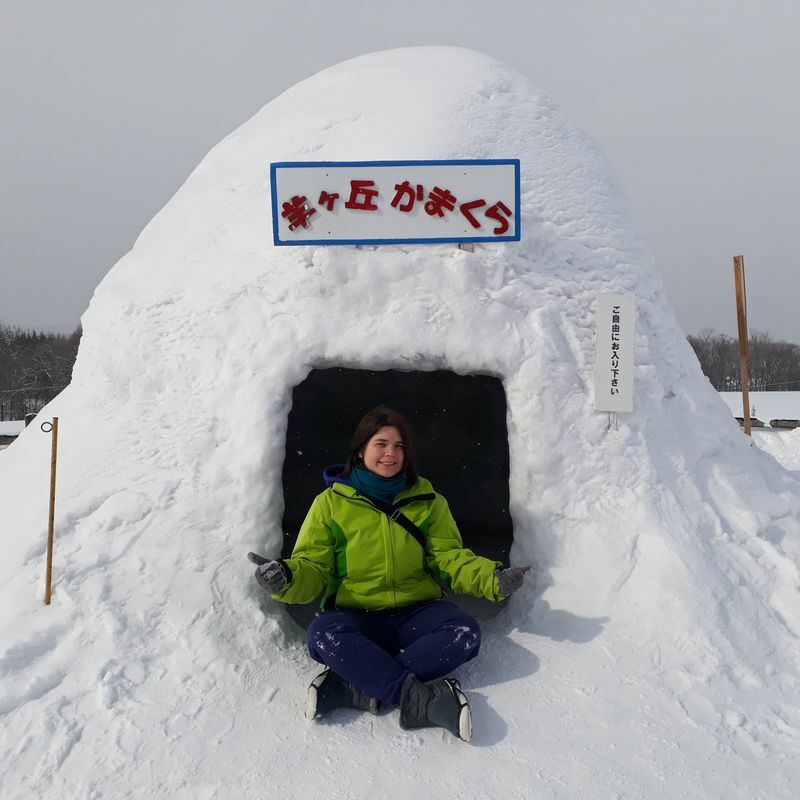 Hitsujigaoka offers a lot of great child-friendly activities, especially during the winter season. Hitsujigaoka is famous for having the statue of Mr. Clark on its grounds. He used to teach at Hokkaido University and is best known for the phrase "Boys, be ambitious!". During summer time the grass is green and the sheep are outside and can be viewed from top of the hill (hence the name hitsuji(=sheep)gaoka. But in winter, when there are piles and piles of snow and it is too cold for the sheep to be outside they offer many snow related activities. Kamakura huts are huts made of snow and surprisingly, they are very warm inside. 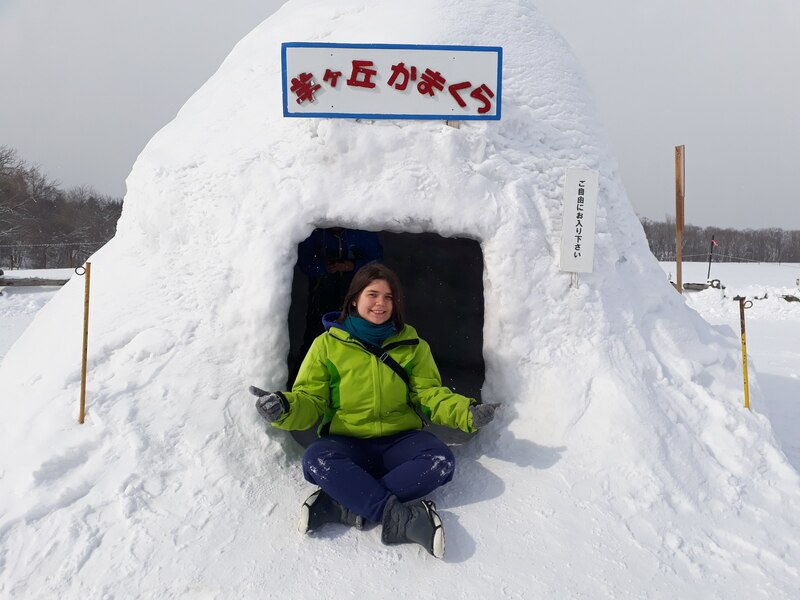 Although these huts are not only available in Hokkaido (there is also a snow hut festival in Nagano) it is a nice feature to experience the huts and their warmth at this place especially in case you've missed other opportunities to see them. If you come to Hitsujigaoka you cannot miss the opportunity to take a photo with Dr. Clark. 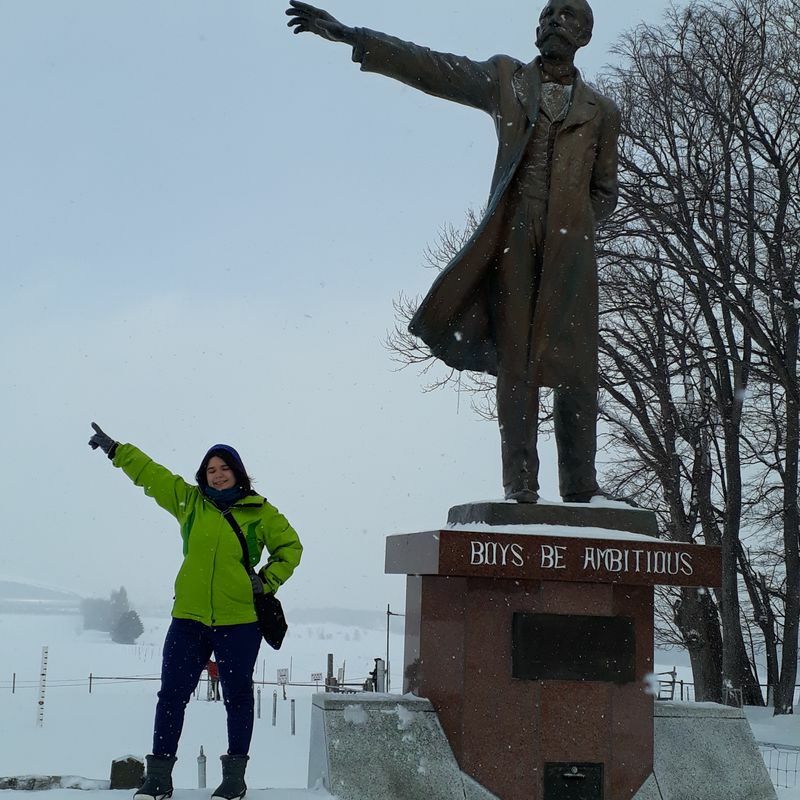 Originally, there was only a bust of Dr. Clark which was located on the campus of Hokkaido University but since many tourists came to visit the bust, it disturbed the everyday activities on the campus and this statue was built on the observation hill of Hitsujigaoka. The observation hill provides space and materials to create your own miniature snowman. These include utensils to create round balls but also accessories such as eyes, hands, scarfs and others. 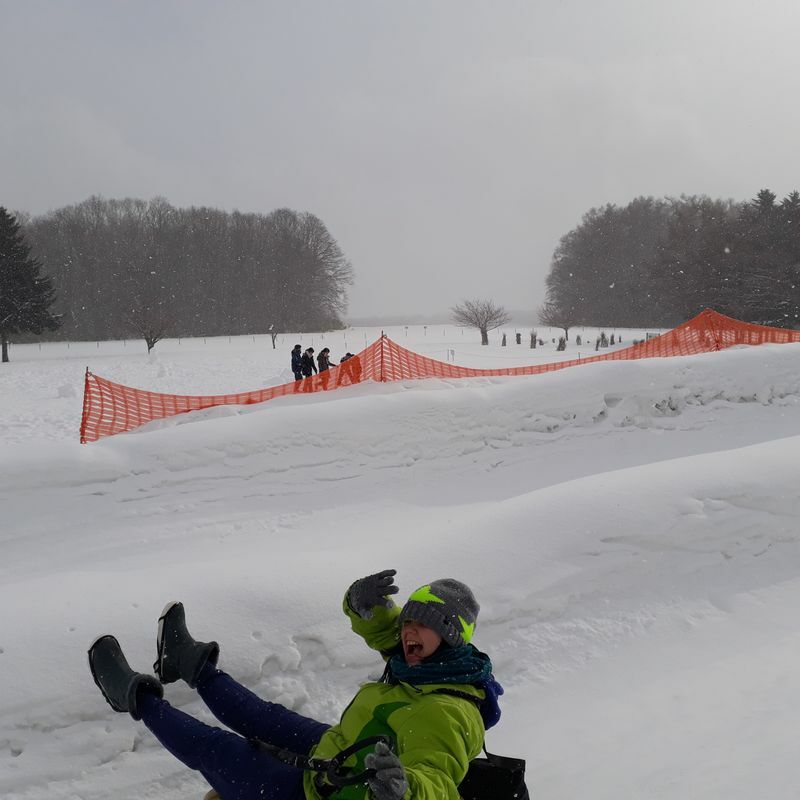 Located at the front side of the observation hill, they have a small hill and mini sleighs to use for sliding down the mini hill. This bigger hill is hidden behind the biggest building. Using a tube you can slide down the hill. Since there are two rows available you can also do a race with your friend! There are also bigger tubes available for two people (or tall people) in case you want to accompany your children or partner. One of the friendly members of staff will hand you the appropriate tube and all you gotta do is slide down and have fun! 5. See the history of the snow festival inside the museum. 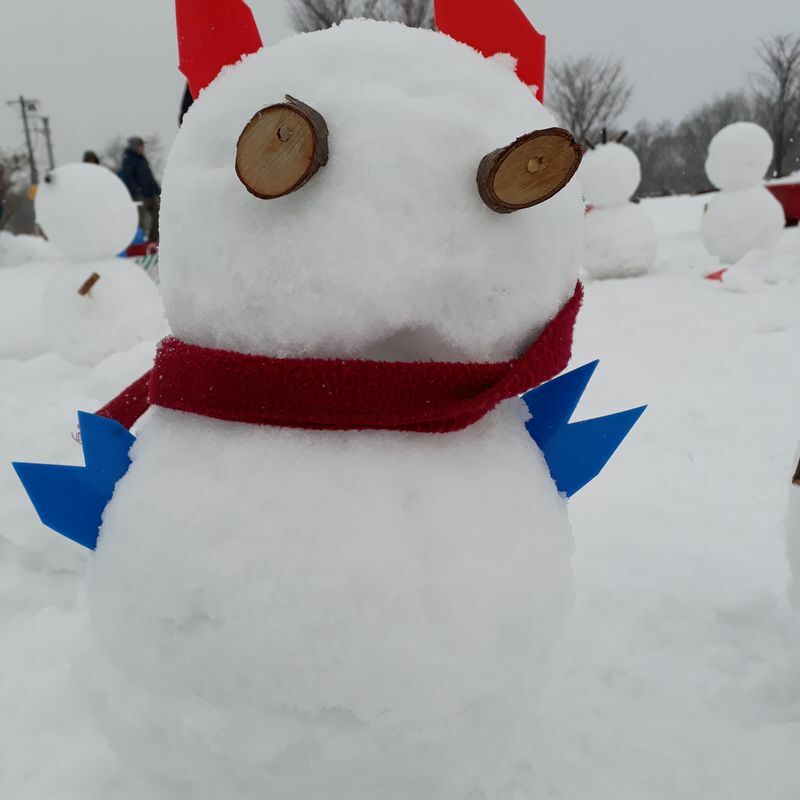 Want to warm up while learning about the history of the famous Sapporo snow festival? Then this is definitely the place to go! In this museum you can view former festival posters as well as miniature models of past snow sculptures featuring collaborations with different countries all over the world. I haven't tried out this feature but apparently you can borrow these skiiers at the house (formerly a church) next to the museum for free and use them to walk in the snow in a designated area. With so many activities being offered, I'd say it's definitely worth a visit so don't forget to plan a few hours into your itinerary for this great site.